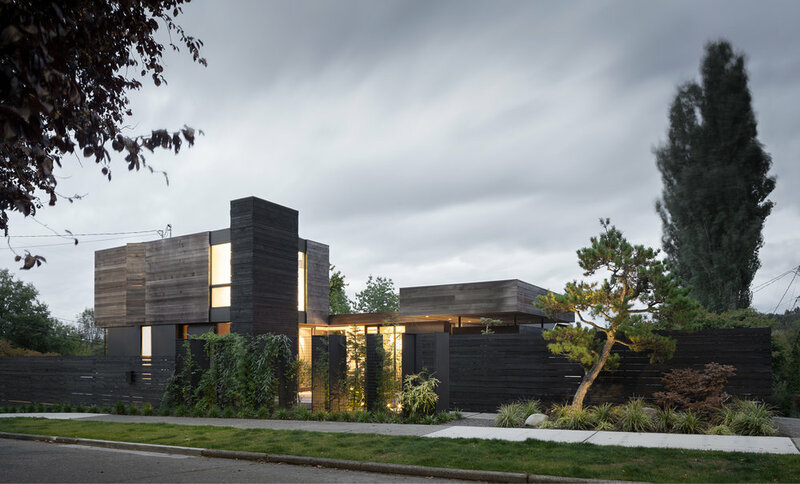 This urban home located in Seattle's Magnolia neighborhood was designed for an active couple looking for a clean open plan without sacrificing privacy. 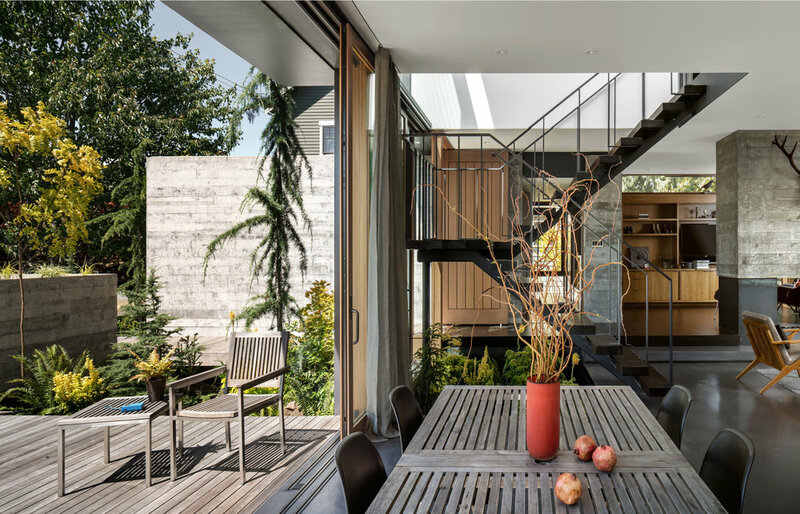 Two board formed concrete volumes screen an outdoor court from neighbors, while a wood deck nestled between the home and the planted shop roof provides space for entertaining. 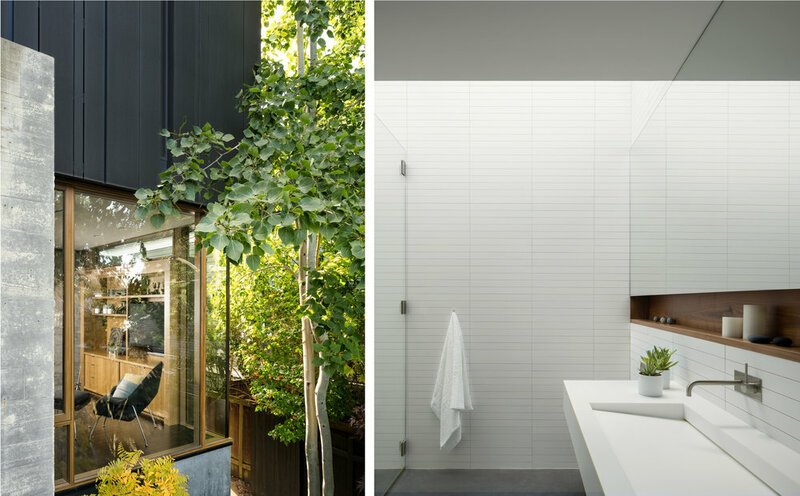 Opening broadly onto the court, large hardwood framed glass doors blur the boundary between indoors and out. Floating above the glassy main floor, a volume of dark vertically applied siding wraps around bedrooms and a home office. 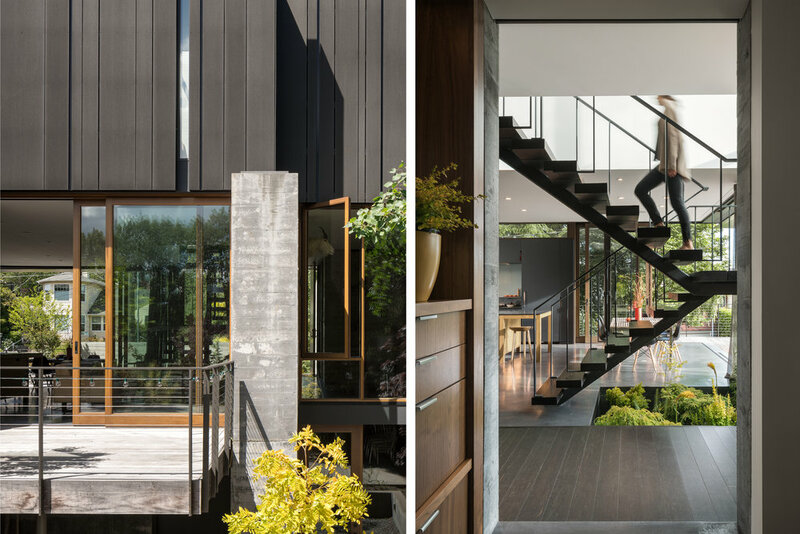 With a purposefully subdued palette of concrete, dark siding, and hardwoods throughout, this home infuses warmth and craft with modern simplicity.